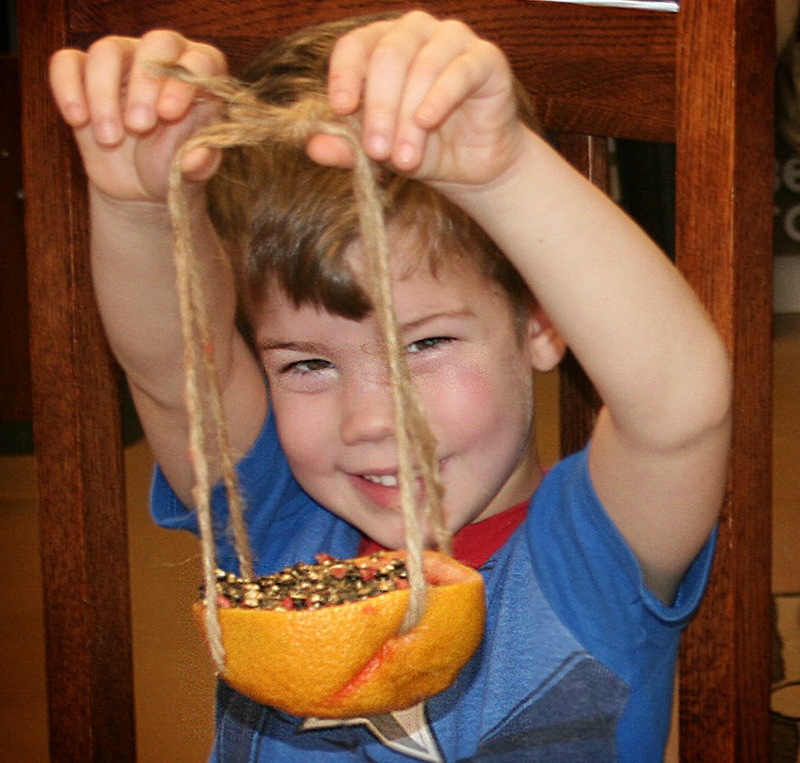 Bob Jones Nature Center: A New Twist on An Old Favorite! 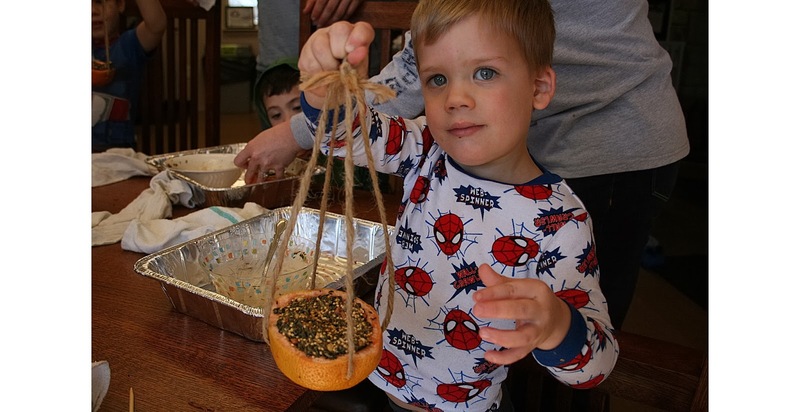 Every Saturday at the nature center, we host Pin-It Projects. For anyone who is as obsessed with Pinterest as I am, you get the idea. These are quick and easy projects that you can do at home with little planning. Ours are always nature friendly...no googly eyes or glitter in sight. We love crafts as much as the next person, but we are dedicated to providing the community with opportunities that are not only fun and creative, but that are also composed of items that are either upcycled, recycled, compostable, and in general...help to keep our world a little greener. 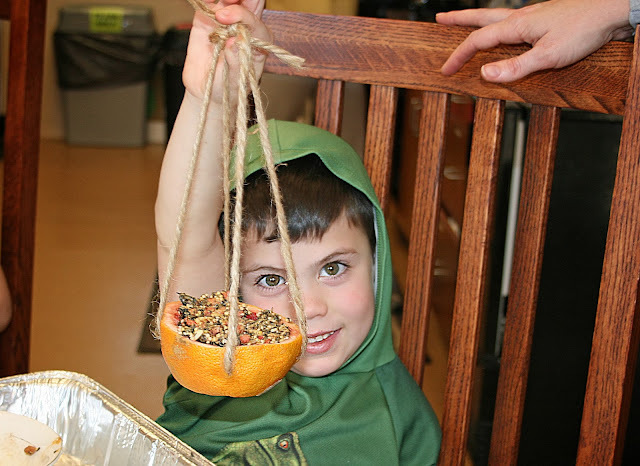 Last Saturday, we had a great turn out for our bird feeder Pin-It Project. Many people came in expecting the traditional pine cone covered in peanut butter and rolled in bird seed, but we like to be a little more creative around here. So here is our simple twist on an old favorite. First of all, I have to give a shout out to Central Market. They donated these huge grapefruit to us. They were a little past perfection and were going to be thrown out, but we saved them from the landfill by using them in this great project. Second, Marshall Grain has been an incredible sponsor for us over the years. That is where we get all our bird seed. They sell all kinds of great gardening gear and more. They have a large selection of bird seed and are always so helpful in helping us determine what kind of seed we need in order to attract certain birds. If you live in the DFW metroplex, I highly recommend checking them out. Such a fun place to shop! 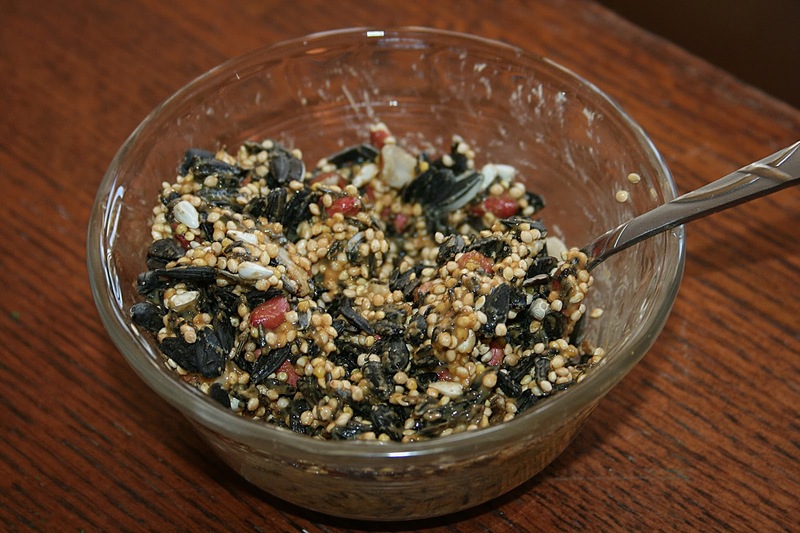 Bird seed, dried fruit, nuts, etc. Let your child pick out which fruit he or she wants. As adults, we just grab, but having done this project with children, I can tell you that fruit selection is important for many of them. Plus it will buy you some time to get your bird seed organized. 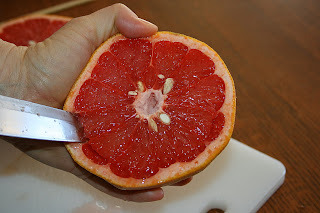 Cut your fruit in half and then cut carefully around the inner peel. This will allow your child to 'gut' the fruit a little easier. 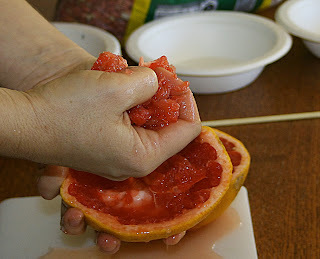 I wasn't able to get pictures of the children when they gutted their grapefruits, but they did a fine job of it. So instead of cute little kid fingers, you will have to settle for mine for now. Get in there and get messy! Keep a bowl nearby for the guts. While you do the next part of the project, your kids can start mixing up what they would like to use for bird food. At Bob Jones Nature Center, we use primarily five types of bird food for this time of year: peanuts, nyjer seed, mixed seed (millet, peanuts, black oil sunflower seeds), black oil sunflower seeds, and suet. The blue jays and woodpeckers have been especially fond of the peanuts, but many other birds eat them as well. The nyjer seed is almost exclusively eaten by the goldfinches. 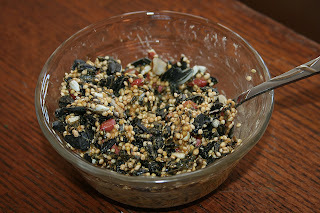 The mixed seed attracts a wide variety of birds. We put it in hanging feeders as well as on the ground. Some birds will only eat from seed on the ground, while others will only eat from hanging feeders. Tufted Titmouse, sparrows, wrens, blue jay, dove, crows, chickadees, grackle, and even the wild turkeys enjoy this mix. The sunflower seeds are enjoyed by the cardinals and though not a bird...entertaining to watch...the squirrells. Suet is a mixture of fat and other treats such as seed, citrus, and insects. Many birds enjoy suet, in particular during the winter months. I highly recommend going to Marshall Grain to purchase bird seed. If you have any questions about which birds eat what or how to attract particular birds to your yard...they know. They are super friendly and will make sure you get the right kind of seed for your needs. The children really enjoyed coming up with their own special mix from the seeds I provided. 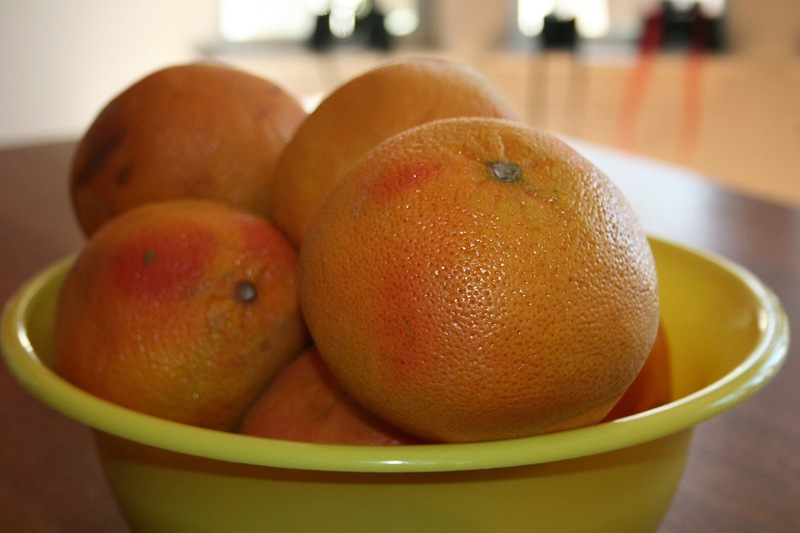 For a real treat, you might consider adding some unsweetened and unsulphured dried fruit. Just make sure that ants do not invade your bird feeder! Next, have the kids add a dollop of peanut butter or other natural, bird approved fat. You want just enough to stick the seeds together. Mix, mix, mix! 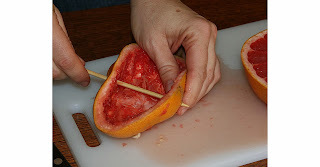 While the kids are making the seed mixture, you will need to poke four holes in the grapefruit rind. Then use the blunt end of the skewer to thread your twine or yarn through the holes. You should end up with an 'x' in the middle of the fruit rind. 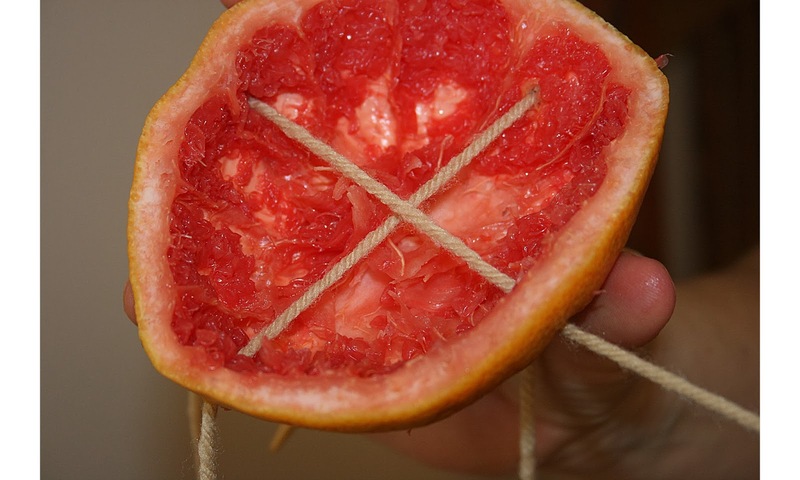 Tie up the loose ends at the top so that the fruit remains level. 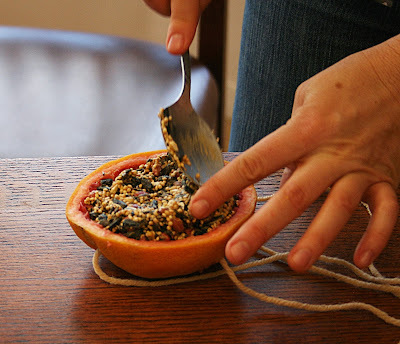 Now, let your kiddos pack their special seed mixture into the fruit rind. 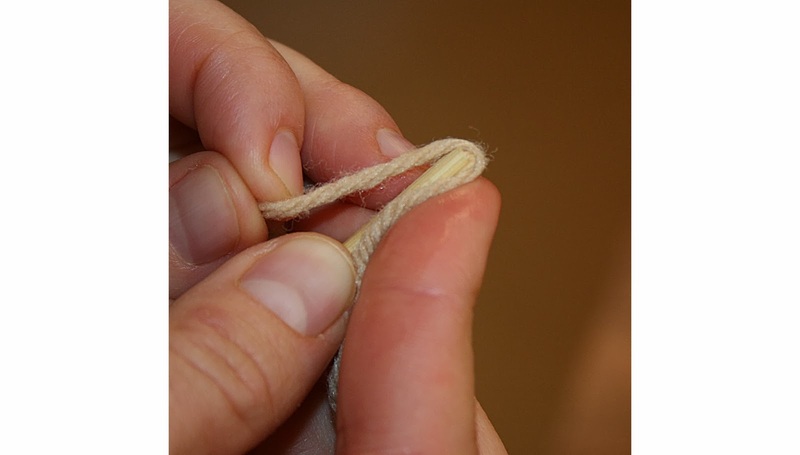 Now go hang it outside and be patient. If you already have birds frequenting your yard, they should find this quickly. If not, it will take some patience. Happy Pinning...and Happy Birding everyone! We have Pin-It Projects every Saturday. Please register on our website for the next event! Did you make this project? We would love to see photos. What did you put inside your special seed mix? What birds were you able to attract? Busy Days at Bob Jones Nature Center!